Everybody loves a cup of coffee. Well, most of us do. Some of us don’t work in a cafe as a barista but we know how to brew our own coffee at home. But won’t it be even better if we knew how to brew the perfect cup of coffee and to learn from the best? 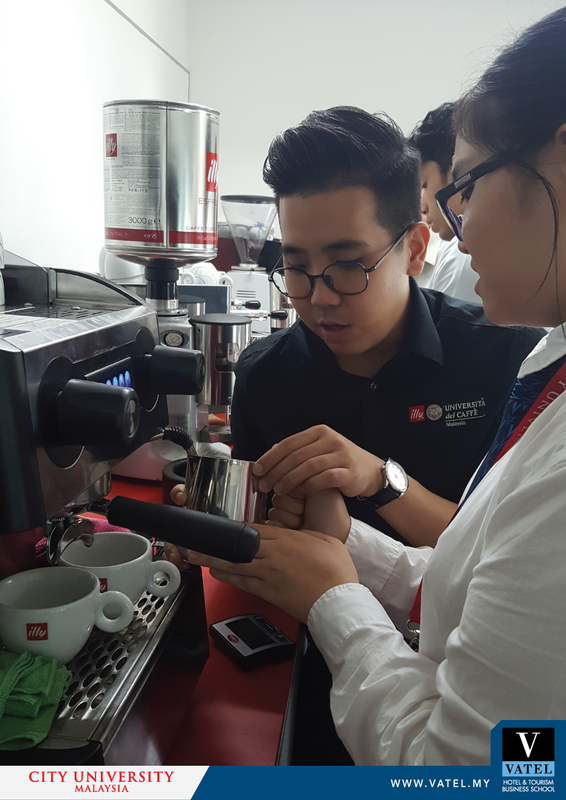 On 28 and 29 June, students from Vatel Kuala Lumpur had the privilege to attend a “Coffee Appreciation Workshop” conducted by Illy Coffee, Malaysia. 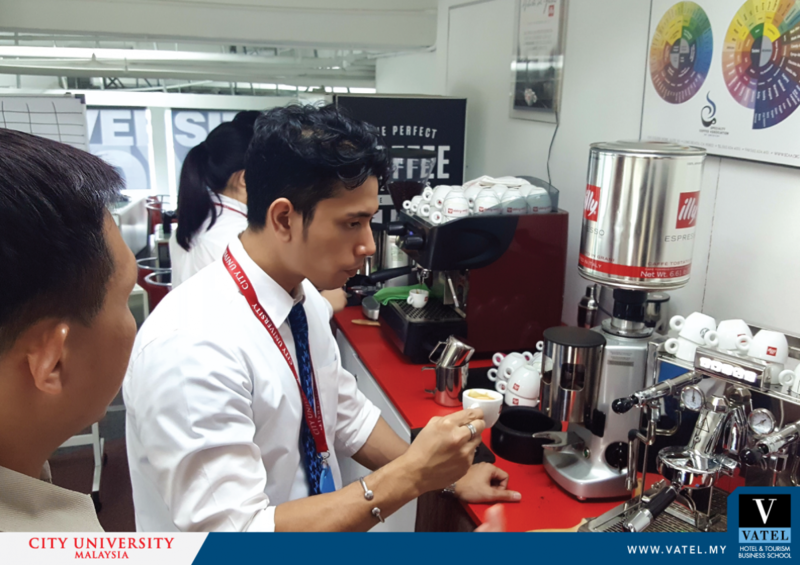 Vatel Kuala Lumpur has a strategic partnership with Illy Coffee Malaysia whereby it houses the Universita del Cafee at its campus in CIty University Malaysia. This purposely built coffee laboratory is to encourage the students to thoroughly understand and practice the art of making coffee. Students were trained on the art of coffee-making. They were introduced to the proper ways of grinding the coffee beans, tapping, frothing the milk and finally brewing the perfect cup of coffee. And of course, the sweet experience of having a taste of their hardwork at the end of this coffee learning experience.